Candy varieties may come and go, but there’ll always be certain classics we expect never to change. And while we don’t want to change a good thing, sometimes we have to acknowledge it could get even better. 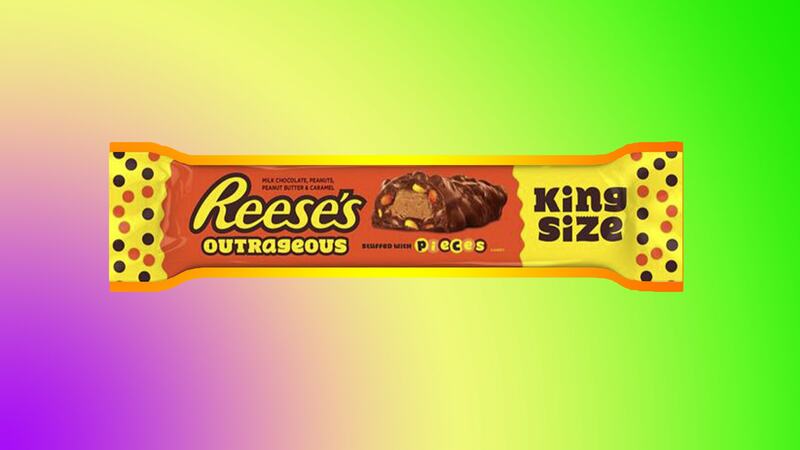 Reese’s has announced they will be launching a wondrous creation they are calling Reese’s Outrageous Bars as early as May 2018. The candy bar is basically what you would expect from a Reese’s Cup as far as texture and flavor, but instead of a cup, it’s a bar. That’s not all, though. The peanut butter filling is covered in a layer of caramel, and then the coating is covered in mini Reese’s Pieces. What? It is like levels of perfection, right? The candy bar will enter our lives in spring of next year, but samples already made their way to Royal Oak, Michigan, in honor of the town’s Spooktacular Halloween activities. We’re jealous, but will patiently wait for our day to come. These bars are slated to hit stores in May of 2018 and will retail as a single regular-size bar for $1.09, a king-size bar for $2.09 and by the bag for $3.89.